Hello, I would like to see more pictures of the 2017 DODGE JOURNEY, stock# D1014. Hi, my name is and I am interested in your I need info about your 2017 DODGE JOURNEY (D1014). Employee Pricing* thru NOV with Prices TOO LOW to Show!!! Call for Details: 320-589-1010. Crossroads, AWD, Popular Equipment Group w/Heated Front Seats, Heated Steering Wheel, Remote Start System, and Security Alarm, 8.4 Touchscreen Display w/ Bluetooth, 3-Zone Temperature Control, Power 6-Way Driver Seat, SIRIUS Satellite Radio, Wheels: 19 x 7 Hyper Black Aluminum. *Includes $1000 finance bonus. Must finance with a Valu Ford & Chrysler financing source. APR as low as 2.59% on approved credit. Cannot be combined with any other finance offers. Offer ends 11/30/2016. See dealer for details. *All payments and terms are subject to availability. Default estimated payment is based on 4.9% rate for 60 months and $5,709 down payment. Estimated payments are for informational purposes only and don't account for acquisition fees, destination charges, tax, title, and other fees and incentives or represent a financing offer or guarantee of credit from the seller. Please send me the vehicle history report for your 2017 DODGE JOURNEY (D1014) that I saw on the CarShopper.com. 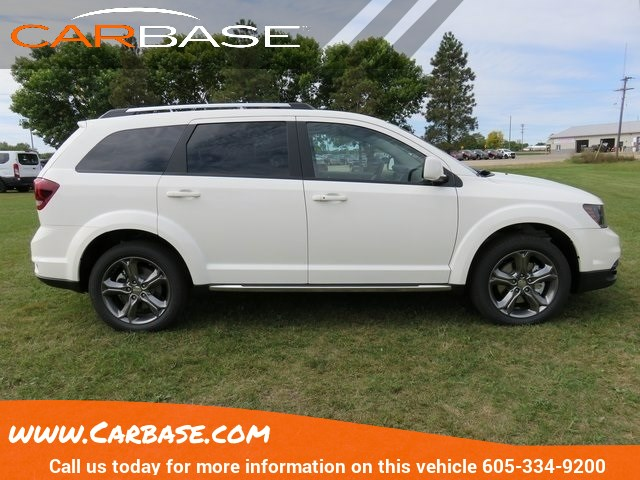 I am interested in this 2017 DODGE JOURNEY (D1014) that I saw on the CarShopper.com. Please contact me with more information.